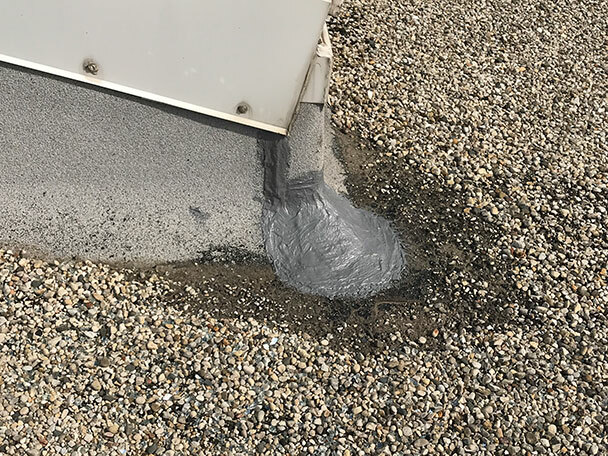 Your Chicagoland commercial roof repair needs can be served through our skills and experience long after the roof has been installed by us or by other roof repair contractors. 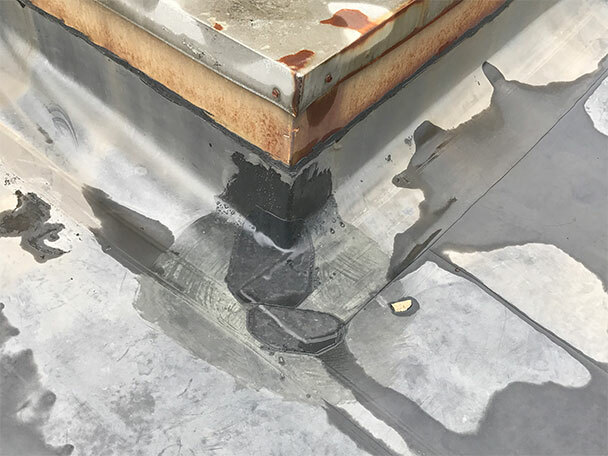 Extensive commercial roof repairs are designed to further the life expectancy of your Chicagoland roof. 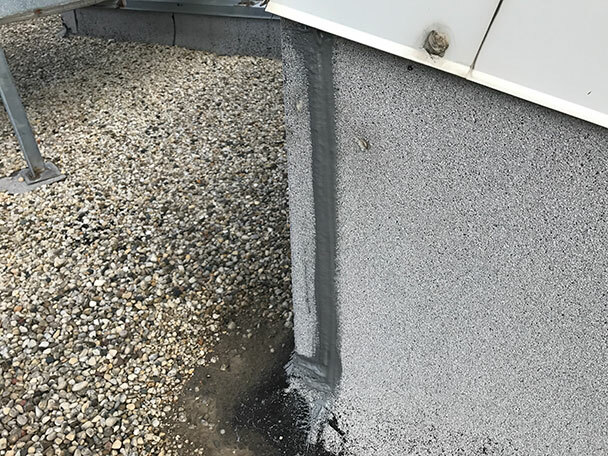 We have highly trained commercial roof technicians that are well versed in all low slope as well as steep slope roofing repairs. 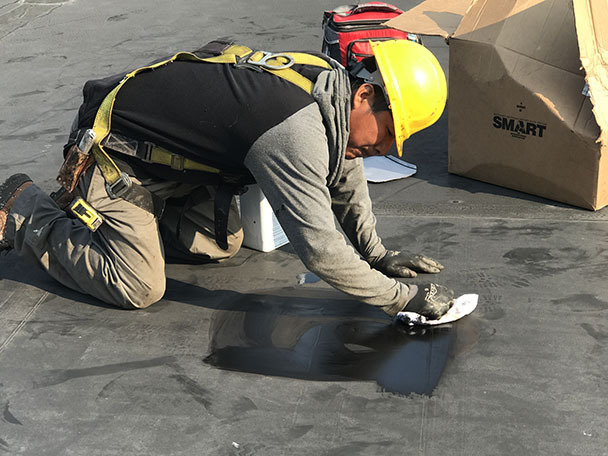 Once our highly trained technicians have performed a roof inspection, they are well versed to repair all low-slope as well as steep slope roofs. 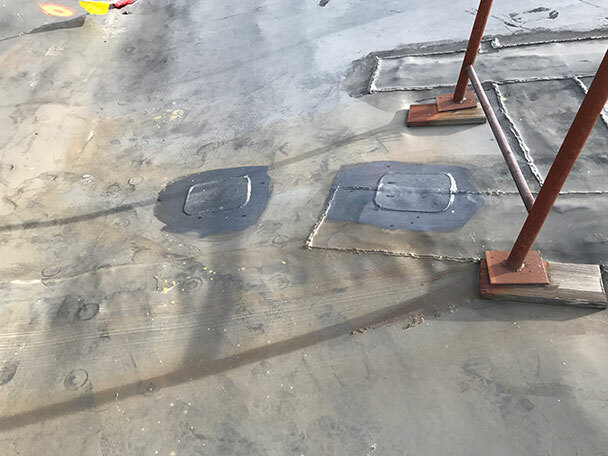 The commercial roof repair process may be necessary for existing roofing where new modifications are made, or damages that have occurred through violent Chicagoland weather. These commercial roof repairs could also be needed from new additions, like new HVAC units, plumbing pipes, skylights, satellite dishes, masonry work, solar panels, decking overlays, antennas, surveillance cameras, etc.